In my original porch design I showed you how we wanted to add our street address on our house by getting some satin nickel numbers and hanging them vertically. I am proud to say we got that done this weekend! 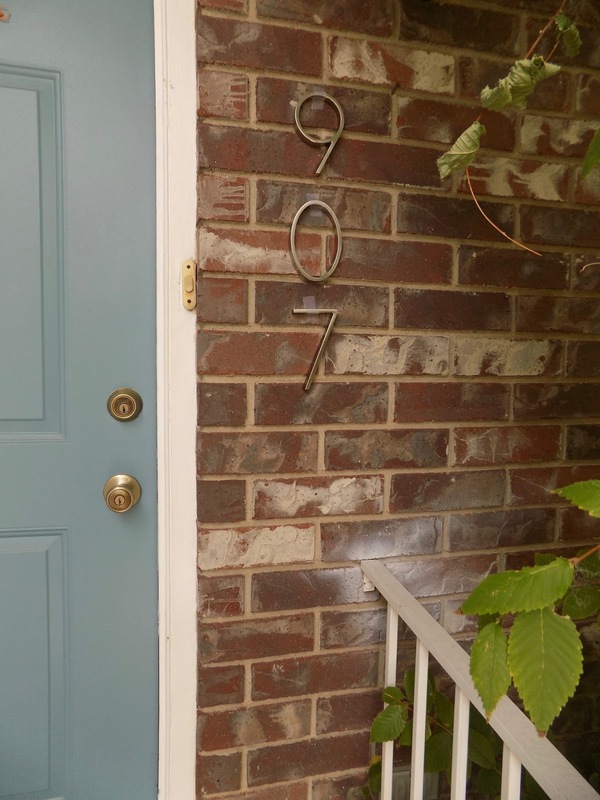 We placed the number to the right of the our front door in between the frame and our porch light. This is not the final product. 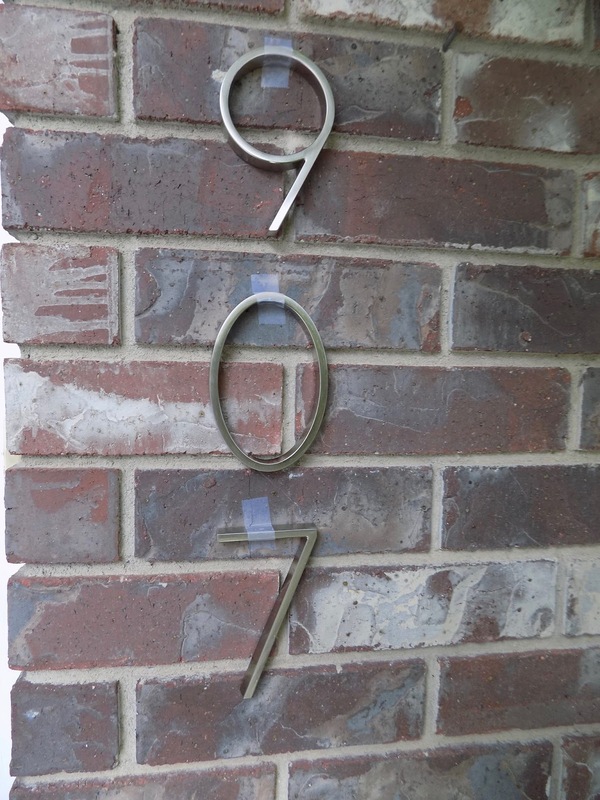 I didn't want our actual address online so I made up an address and taped the number up there. 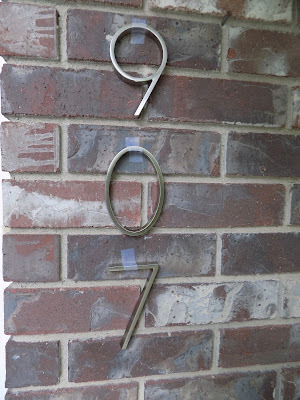 The actual address was nailed on afterwards. You do what you have to! 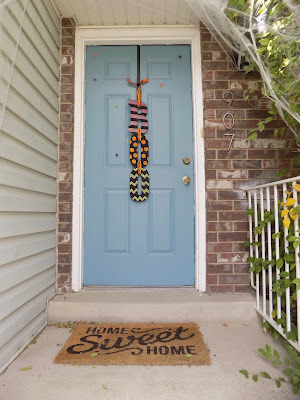 What house project are you currently working on?